A couple of days ago saw the release of the first Black Panther deleted scene, centering on the relationship between two important but definitely supporting characters. Today there are two more scenes dropped from the movie's final cut and these focus on T'Challa and his relationship with his father, T'Chaka, the former king of Wakanda and predecessor as Black Panther. In the first clip we see a much younger T'Chaka, still spry and active as the Black Panther, grappling with a difficult choice he's been forced to make. But he also catches his son T'Challa snooping around with Nakia, and they discuss the responsibilities that weigh on a king's shoulders. T'Chaka's jokes about being "old and grey" in the future resonate in the second clip, which takes place after T'Challa has defended his crown and undergone the ritual to regain his Black Panther powers. 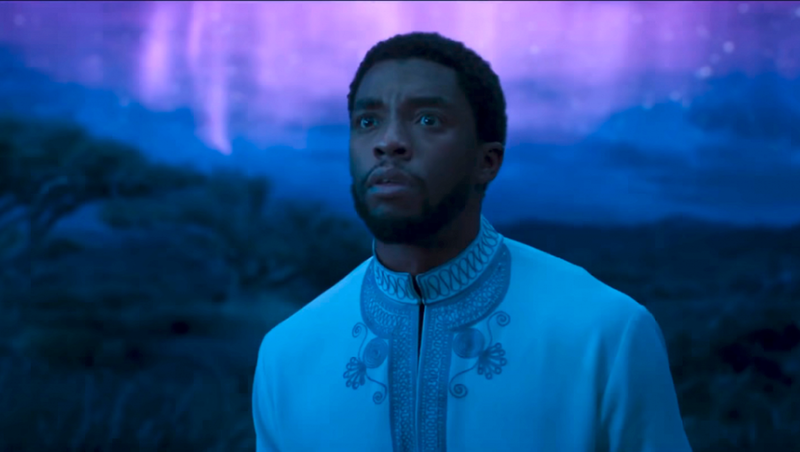 After speaking with his deceased father in the spirit realm, T'Challa talks with Zuri (Forest Whitaker) about why his father gave up being Black Panther while remaining king, and the response is pretty funny. Neither of these scenes needed to be in the final cut, that's for sure, but they do help flesh out the film's central theme of a father's legacy to his son. Black Panther is still in theaters now, but hits digital on May 8th and Blu-ray a week later.